The rehumanisation of leadership and management part 2. Part 1. is here. The remarkable leaders I know are all remarkable communicators and connoisseurs of candour. They're up front, authentic, and share what's on their heart and mind. And all the while being convivial. 1) Remarkable leaders get that communication has occurred when two or more people have reached a shared view regarding the way to move forward together, or not. 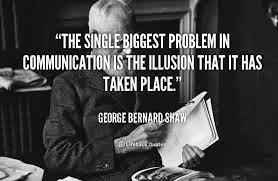 Remarkable leaders equally get that communication is never one way. They fully understand that communication is not information sharing, sound bites, tweets, LinkedIn or Facebook updates, or any social media posts, advertising or press releases. 2) When communicating and conversing remarkable leaders get the why factor, i.e. they fully understand why their message will really matter to the receiver/s. For more on this read this post by Colin James. 3) Remarkable leaders are Star senders and not black holers. Typically stars are messages that promote the high self esteem of receivers and the likelihood of personal best performance. Examples are enthusiastic greetings, smiles, recognition/appreciation of effort and achievements, genuine compliments, including people, putting ourselves out for others, asking someone else for advice, showing genuine interest. Typically black holes are messages that mean a likely drop in self esteem and the corresponding drop in personal performance. Examples are not saying hello or greeting people as though they barely exist, not saying thank you, not recognising/appreciating other peopleʼs efforts, claiming the credit for someone elseʼs work, ignoring or excluding people, putting people down, criticising as opposed to providing requested feedback and feedforward, thinking our way is the only way and demonstrating this in our behaviour, having a closed mind. 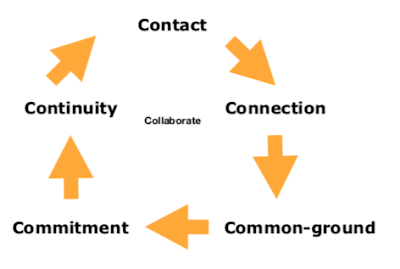 4) Before sending any verbal (face to face, voice mail) or written message remarkable leaders check intention to ensure they have a shared outcome with the receiver/s in mind, and to ensure it is honourable and in the best interests of achieving a shared purpose and that it will likely build the receiver/s self esteem and/or help them to perform at their best. 5) After sending verbal or written messages remarkable leaders check in with the receiver/s to ensure the effectiveness of their message. 6) When receiving messages from others remarkable leaders ensure their intention is to understand the senders perspective and not to judge it or be prejudiced against it. Remarkable leaders get that the purpose of listening is simply to fully understand the senders view. Remarkable leaders listen to what the other person is saying (content), what they are making that mean (concept), and what that is really about (context). For more on this check out this piece by Matt Church. 7) Remarkable leaders share stories other people can see and feel themselves in. Self-depreciating humour is common in these stories. 8) Remarkable leaders share their feelings. They say I feel ... often. They also make it clear when they are sharing their opinion and what they believe to be a fact. 9) Remarkable leaders say what they mean and mean what they say in ways that there's never any doubt about the message. Spin is a "sin" remarkable leaders never commit. 10) Remarkable leaders confront BS and help people to humanely remove warts, skeletons in closets, and elephants from boardrooms, offices, factories and shops. They do so in convivial ways i.e. they're cordial, cheerful, friendly, good natured and good-humoured. 11) Remarkable leaders are experts at optimum communication i.e. they have such powerful and highly valued relationships with people that often all that is needed is an exchange of looks, e.g. How do I know that my wife is ready to go home even though she is on the other side of the room? Answer: It's just her look, followed by my look of acknowledgment! 12) Remarkable leaders are continually honing their presentation and public speaking skills by attending classes, working with coaches and mentors, and practicing their craft so that they can be spontaneous and inspirational in all situations. 13) Remarkable leaders engage every day with others in candid and convivial conversations with people about performance in ways that people feel appreciated when they do well and to be accountable when performance is less than agreed it will be. PSS My thanks to Peter Marshman and his Communication Magic program for the concept of stars and black holes. As an Accredited Master Facilitator of the program, for assistance in the implementation of these concepts please contact me. PSSS I recommend downloading 'Can Business Schools Humanize Leadership' by Gianpiero Petriglieri and Jennifer Petriglieri INSEAD here. It's the paper that inspired this series of articles.